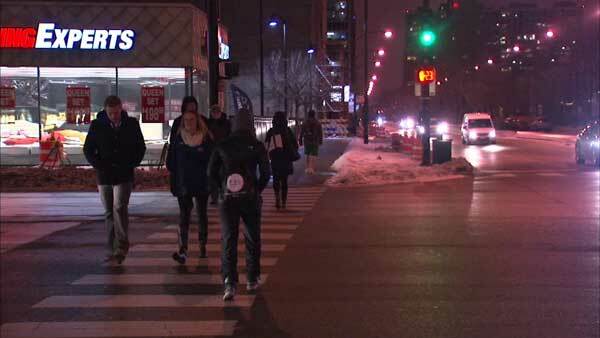 CHICAGO (WLS) -- Chicago police are warning people to be on alert after three robberies were reported in the Loop and South Loop. In the holdups, police said the suspect walks up to the victim and asks for the time. He then displays a handgun and demands cell phones and money, officials said. On Saturday, two robberies were reported: one in the 100-block of North Beaubien Court around 6:45 p.m. and the other in the 300-block of East South Water around 7:15 p.m. On Sunday night, a robbery was reported in the 1200-block of South State Street around 10:30 p.m.